The cloud is promising to deliver high performance computing (HPC) capabilities to the masses, for very little money. 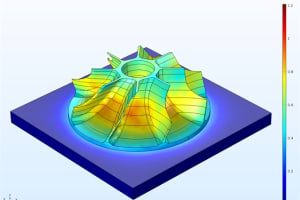 Running a complex direct numerical simulation on an engine combustion event? Or maybe you just want to run your basic structural simulations, but 1,000 times faster than your desktop workstation or on-premises servers can manage. The cloud can help you out with that. In this article, we are going to take a look at the current state of cloud simulation, and we’ll be asking a bunch of industry experts to weigh in on the current state of play for the market and the technology itself. But first, let’s just define the cloud a little bit. The cloud, in a nutshell, is an IT paradigm allowing users to tap into resources located in offsite data centers. Those resources can come in the form of extra computational power, via HPC clusters, or in the form of software that is hosted offsite and can be run in a user’s browser, eliminating the need for installation on a local machine. 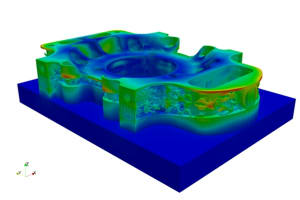 This can be an attractive proposition to companies using simulation software, as these cloud data centers can deal with all the hardware and infrastructure issues, leaving companies to carry on with what they do best (engineering) without worrying about enterprise-level software deployments, constant onsite server upgrades and other issues.Instead of the old IT paradigm, which was heavily focused on offering software as a product, the cloud paradigm instead offers its wares as a service, with users effectively paying for what they use, rather than constantly paying for licenses, CPU power or additional hardware. The Gartner Hype Cycle is a reasonable yardstick for measuring hype and expectations of emerging technologies, as well as giving some indication of a technology’s adoption. Brand-new technologies have low adoption, as they tend to be in the early phase of development and are generally used by research institutes and product developers. 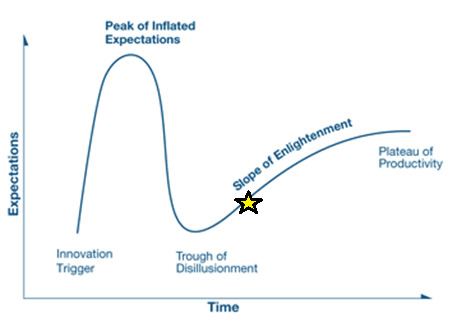 As the hype varies over the lifetime of the technology, and as the technology moves into maturity, the product receives wider adoption when bugs are ironed out and public trust in the technology increases.According to the 2017 Gartner Hype Cycle for Cloud Computing, cloud computing itself has finally emerged from the “Trough of Disillusionment” onto the “Slope of Enlightenment.” This means that, finally, after the oscillating expectations associated with emerging technologies, the hype is finally dying down, and we should now see a period of more widespread adoption of these services, before moving onto a state of increased productivity. Moving out of the trough. Innovation trigger: A potential technology breakthrough kicks things off. Early proof-of-concept stories and media interest trigger significant publicity. Often no usable products exist, and commercial viability is unproven. So cloud computing is now on the slope of enlightenment, according to the analysts. But what does industry have to say about the current state of cloud computing and simulation? 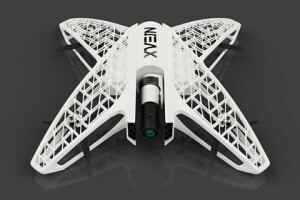 Engineering.com spoke to Autodesk, Ansys and Rescale, three vendors approaching the cloud from different perspectives. 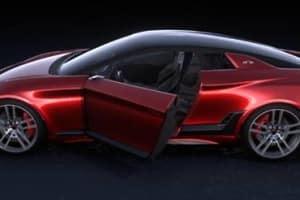 Autodesk, who historically has been a design-focused company, is interested in bringing the power of cloud-based simulation into the hands of designers and has had a cloud strategy for about 5 years. 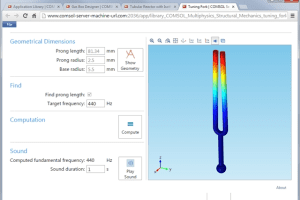 Currently, Autodesk offers a range of cloud-based simulation packages, including Autodesk CFD, Moldflow and, of course, Fusion360. 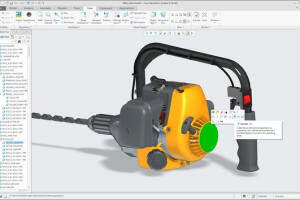 Autodesk provides cloud computing time to customers via use of “cloud credits,” which can be purchased to exchange for simulation or rendering time from Autodesk cloud services. 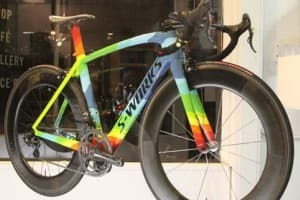 Ansys, in contrast to Autodesk, is a simulation company first, and so it’s focused on allowing engineers to assess more design variations and make better, faster engineering decisions via cloud resources. 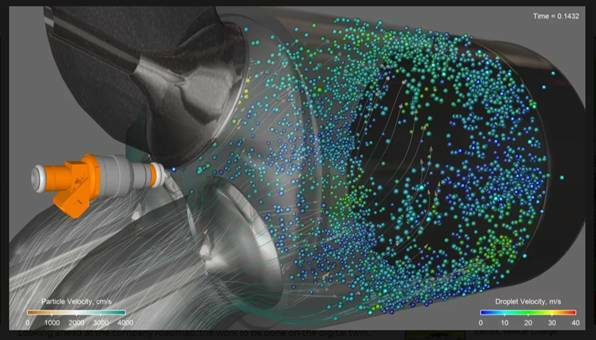 And naturally, Ansys is all about making simulation better and more robust. Ansys offers cloud computing time via use of existing licenses or by use of flexible “elastic units” as part of the Elastic Licensing model (effectively a prepay model with the option to transition to post pay if the units are used up). 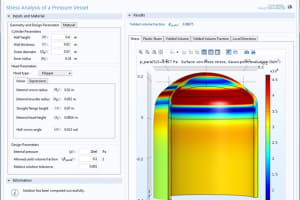 Elastic Licensing allows users to access most cloud-enabled software from Ansys. Rescale is a startup founded in San Francisco in 2011, and in that short time, it has become the largest HPC infrastructure network in the world, with over 8 million servers and 1,400 PFLOPs available for public simulation usage. The Rescale ScaleX platform offers over 250 different software packages, all accessible on the cloud and with HPC computational power available on tap from the Rescale data centers. The platform allows users to pay for the hardware they use and the time they use it. They can pay for software per use or bring their own license. Rescale provides per-second billing of compute resources and is driving towards per-second billing of on-demand software licensing as well. It seems that the engineering fields are late-comers to the cloud computing party.This appears to be due to a mix of cultural and technical reluctance from companies unwilling to take on new software platforms. 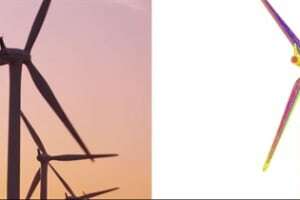 These industries are traditionally conservative in terms of adopting new paradigms, due to national security and intellectual property concerns. If they want to migrate their data to the cloud, they need assurance that their data is going to be safe. But data security is not the only hurdle to mass adoption. 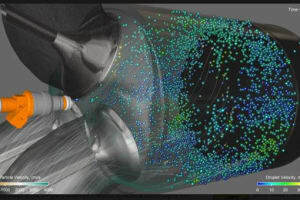 As simulation capability grows, so do the demands that we put on the simulation software—we generate more data as our simulations become more detailed and precise. Autodesk seems to be in agreement with the above sentiment. 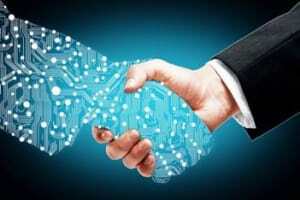 But adoption is picking up as the technology matures and customers become aware of the value that can be gained from using the cloud for simulation. Compute Sells … But Who’s Buying? According to Gartner, the period during which a product moves out from the “Trough of Disillusionment” and onto the “Slope of Enlightenment” coincides with an uptake in adoption of that product. As confirmed by the industry experts we spoke to, this is a fairly accurate representation of cloud simulation in 2018. 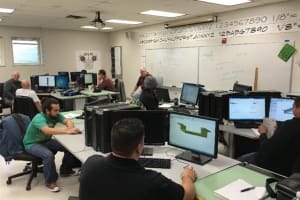 “Although more than 90 percent of the current market is on-premises, HPC is at an inflection point today, where many of the traditional on-premises customers are choosing cloud as a critical capability for some or all of their current and future HPC needs,” said Dave Anselmi, director of product management for Rescale. So we have seen that the cloud simulation market is ripe and that the technology is mature enough to deliver on certain expectations. And if the current trends are to continue, we will see simulation becoming democratized and more accessible to nonspecialists. What does the near future hold for the industry experts that we spoke to? So it seems that Rescale understands the future needs of customers and software vendors who are using the Rescale platform. What do the software vendors see in the not-too-distant future? “First, we will continue to work with the network of cloud-hosting partners to ensure our software runs robustly and is optimized on their more than 100 datacenters worldwide,” said McDevitt. Likewise, Autodesk is also extremely proactive in its cloud strategy. 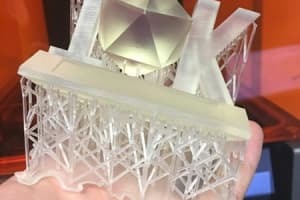 “You’ll see a lot more simulation capability appearing in Fusion 360 in the future,” said Brian Frank, senior product manager at Autodesk. 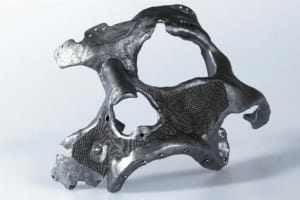 “One of the core premises of the way that we’ve deployed simulation at Autodesk is that we believe simulation has to be part of the entire design and manufacturing workflow" added Fallon. 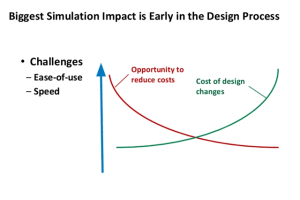 "One of the reasons I think simulation hasn’t had the impact that it could have had on industry is because simulation is generally done by specialists outside of the product development process. 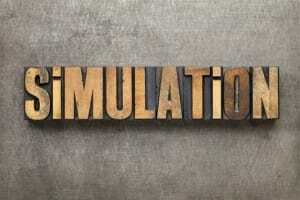 The simulation tools generally don’t sit within product lifecycle management tools. 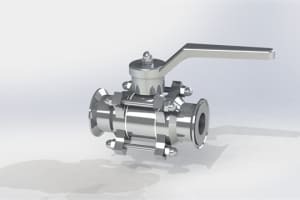 You have some simulation in CAD tools, but the majority of simulation is still done externally. 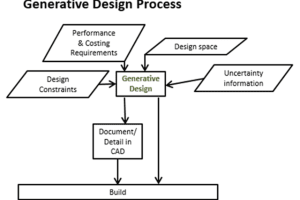 So we are trying to bring it into the design process.In many ways, generative design is about bringing simulation into the design process. The beauty of that is that you get a prevalidated design. 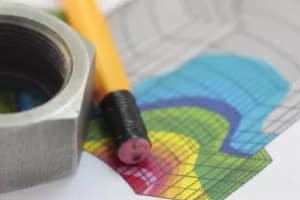 So not only is the tool coming up with all possible parameters of design options for the end user, but they are valid design options." So Autodesk are focused on bringing simulation downstream. But there is more to cloud simulation than just pure computing grunt. The cloud offers enhanced communications too. Whatever happens in terms of available platforms, Rescale, owning the largest public cloud network, seems to be perfectly positioned to supply cloud services to those who increasingly demand them. 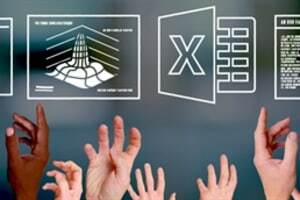 According to Autodesk, there are three main value propositions to be considered for those wishing to develop a cloud simulation strategy in their company. So people are getting switched on to cloud simulation. 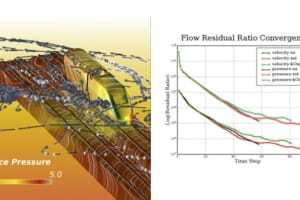 But as they demand more from their simulation packages, they generate masses of data that would be more optimally used if the data remained on the cloud, rather than waiting to download huge datasets for analysis. But conservative industries are still a little concerned about data security, although cloud service providers are convinced that data is indeed safer on the cloud. These industries are going to need some convincing from service and software providers before they go all-in on a cloud strategy.It seems likely that they will jump on the cloud simulation train when the technology has matured and when their fears over security are alleviated—or when they become convinced that simulation data can be best processed on the cloud itself, removing the time to download large datasets. If you want to access the cloud as an individual or as a company, you can see that, via a platform such as ScaleX from Rescale, you have a variety of pay-as-you-go options for compute time as well as for use of software. Rescale does have numerous partnerships with most of the main simulation packages, so it’s not like new users will have to learn different software. To summarize: Cloud-based simulation is cheap, accessible and familiar. It’s all of your favorite software, supercharged and on demand. What’s not to like about it? Expect to see an uptake in cloud-based simulation customers as the technology matures and moves in from the fringes.